This article is about the direct video recorder. For the company, see TiVo Inc.
TiVo's logo, a smiling television set. TiVo (/ˈtiːvoʊ/ TEE-voh;) is a digital video recorder (DVR) developed and marketed by TiVo Corporation and introduced in 1999. TiVo provides an on-screen guide of scheduled broadcast programming television programs, whose features include "Season Pass" schedules which record every new episode of a series, and "WishList" searches which allow the user to find and record shows that match their interests by title, actor, director, category, or keyword. TiVo also provides a range of features when the TiVo DVR is connected to a home network, including film and television show downloads, advanced search, personal photo viewing, music offerings, and online scheduling. Since its launch in the United States, TiVo has been made available in Australia, Canada, Mexico, New Zealand, Puerto Rico, Sweden, Taiwan, Spain, and the United Kingdom. Newer models, however, have adopted the CableCARD standard, which is only deployed in the United States, and which limits the availability of certain features. TiVo was launched in Australia in July 2008 by Hybrid Television Services, a company owned by Australia's Seven Media Group and New Zealand's TVNZ. TiVo also launched a special 2009 Christmas TiVo DVR that has a 320Gb hard Drive and comes with the HNP free. TiVo Australia also launched Blockbuster on demand and as of early December launched a novel service called Caspa on Demand. TiVo also went on sale in New Zealand on 6 November 2009. Janet Jackson's Super Bowl halftime show incident set a record for being the most watched, recorded and replayed moment in TiVo history. The baring of one of Jackson's breasts at the end of her duet with Justin Timberlake, which caused a flood of outraged phone calls to CBS, was replayed a record number of times by TiVo users. A company representative stated "The audience measurement guys have never seen anything like it. The audience reaction charts looked like an electrocardiogram." A TiVo DVR also automatically records programs which the user is likely to be interested in. TiVo DVRs also implement a patented feature which TiVo calls "trick play", allowing the viewer to pause live television and rewind and replay up to a half-hour of recently viewed television. More recent TiVo DVRs can be connected to a computer local area network, allowing the TiVo device to download information and even video programs, music and movies from the Internet. TiVo polls its network, receiving program information including description, regular and guest actors, directors, genres, whether programs are new or repeats, and whether broadcast is in High Definition (HD). Information is updated daily from Tribune Media Services. When user's requests for multiple programs are conflicting, the lower priority program in the Season Pass Manager is either not recorded or clipped where times overlap. The lower priority program will be recorded if it is aired later. TiVo DVRs with two tuners record the top two priority programs. TiVo pioneered recording programs based on household viewing habits; this is called TiVo Suggestions. Users can rate programs from three "thumbs up" to three "thumbs down". TiVo user ratings are combined to create a recommendation, based on what TiVo users with similar viewing habits watch. For example, if a user likes American Idol, America's Got Talent and Dancing with the Stars, then another TiVo user who watched just the American Idol might get a recommendation for the other two shows. A limited amount of space is available to store programs. When the space is full, the oldest programs are deleted to make space for the newer ones; programs that users flag to not be deleted are kept and TiVo Suggestions are always lowest priority. The recording capacity of a TiVo HD DVR can be expanded with an external hard drive, which can add 65 additional hours of HD recording space or up to 600 hours of standard definition video recording capacity. There are multiple types of Product Lifetime Service. For satellite-enabled TiVo DVRS the lifetime subscription remains as long as the account is active and does not follow a specific piece of hardware. This satellite lifetime subscription cannot be transferred to another person. Toshiba and Pioneer TiVo DVD recording equipped units include a "Basic Lifetime Subscription", which is very similar to Full Lifetime, except only three days of the program guide are viewable; and search and Internet capabilities are not available, or at least limited. All units (except satellite but including DVD units) can have "Product Lifetime Subscription" to the TiVo service which covers the life of the TiVo DVR, not the life of the subscriber. The Product Lifetime Subscription accompanies the TiVo DVR in case of ownership-transfer. TiVo makes no warranties or representations as to the expected lifetime of the TiVo DVR (aside from the manufacturer's Limited Warranty). In the past TiVo has offered multiple "Trade Up" programs where you could transfer the Product Lifetime Subscription from an old unit to a newer model with a fee. A TiVo can be used without a service-agreement, but it will act more like a VCR in that you can only perform manual recordings and the TiVo can't be connected to the TiVo service for local time, program guide data, software updates, etc. or TiVo will shut down the recording function. The TiVo service is available in the United States, United Kingdom, Canada, Mexico, Australia, Spain and Taiwan at present. Over the years since its initial release in the United States, TiVo Series1 and Series2 DVRs have also been modified by end users to work in Australia, Brazil, Canada, New Zealand, the Netherlands, and South Africa. The TiVo DVR was designed by TiVo Inc., which currently provides the hardware design and Linux-based TiVo software, and operates a subscription service (without which most models of TiVo will not operate). TiVo units have been manufactured by various OEMs, including Philips, Sony, Cisco, Hughes, Pioneer, Toshiba, and Humax, which license the software from TiVo Inc. To date, there have been four "series" of TiVo units produced. TiVo still uses the same encoding, however, for the media files (saved as .TiVo files). These are MPEG files encoded with the user's Media Access Key (MAK). However, coders have written programs such as tivodecode and tivodecode Manager to strip the MAK from the file, allowing the user to watch or send the recordings to friends. These projects are open source and for the most part are hosted on SourceForge. While its former main competitor in the United States, ReplayTV, had adopted a commercial-skip feature, TiVo decided to avoid automatic implementation fearing such a move might provoke backlash from the television industry. ReplayTV was sued over this feature as well as the ability to share shows over the Internet, and these lawsuits contributed to the bankruptcy of SONICblue, their owner at the time. Their new owner, DNNA, dropped both features in the final ReplayTV model, the 5500. After demonstrating the WebTV capability at the same 1999 CES with TiVo and ReplayTV demonstrating their products, Dish, (then named Dish Network) a few months later added DVR functionality to their DishPlayer 7100 (and later its 7200) with its Echostar unit producing the hardware while Microsoft provided the software that included WebTV, the same software Microsoft would later use for its UltimateTV DVR for DirecTV. 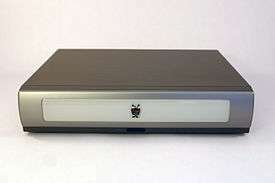 The TiVo, ReplayTV, and DishPlayer 7100 represent very first DVR's that were in development at the same time and were released to market at about the same time. TiVo has three levels of data collection. By default one is in "opt-out" status, where all usage data is aggregated by ZIP code and individual viewing habits are not tracked. Certain optional features and promotions require one to opt-in, where they will collect individual information for targeted show suggestions or advertising. Users can request that TiVo block the collection of anonymous viewing information and diagnostic information from their TiVo DVR. TiVo holds several patents that have been asserted against cable TV operators and competing DVR box makers. Current discussion of TiVo's litigation activity and impacts to TiVo's business are on various websites. During early 2005, TiVo began test market "pop-up" advertisements to select subscribers, to explore it as an alternative source of revenue. The idea was that as users fast-forward through certain commercials of TiVo advertisers, they would also see a static image ad more suitable and effective than the broken video stream. ↑ "The Second Greatest Story Ever Told: The 4th Annual Blue Moon Holiday - TiVo Community Forum Archive 1". Archive.tivocommunity.com. Retrieved October 16, 2012. 1 2 "Virgin Media Selects Tivo For Next Generation Tv Platform". Virgin Media. 24 November 2009. 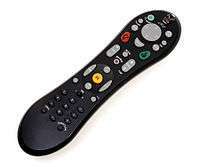 ↑ "TiVo Models | What is TiVo". myTiVo.com.au. Retrieved October 16, 2012. ↑ "Entertainment On-Demand | Movies & TV On-Demand | What is TiVo". myTiVo.com.au. Retrieved October 16, 2012. 1 2 Pullar-Strecker, Tom (18 August 2009). "Sticking point for TiVo". The Dominion Post. Retrieved 23 November 2011. ↑ "Jackson's Super Bowl flash grabs TiVo users". CNET. 2004-02-04. Retrieved 2013-06-18. ↑ Freeview/Freeview Playback/Satellite/Cable, PVR UK website, Undated.Accessed: 04-30-2008. ↑ Latest Range Freeview website, Undated.Accessed:04-30-2008. ↑ TiVo Suggestions in the UK — Update, TiVo Community Forum, 09-29-2008.Accessed: 1 November 2008. ↑ "Virgin Media unlocks third TiVo tuner". Digital Spy. 17 March 2011. ↑ "List of compatible adapters". Tivo.com. Retrieved October 16, 2012. ↑ "The page is no longer available.". www.wdc.com. Retrieved 2016-01-02. ↑ Tridgell, Andrew. "tivo-ethernet isa_adapter". Retrieved 2 January 2016. ↑ Anderton, Stuart. "Automatic soft padding running on the TiVo". ↑ "Bankruptcy Blues for PVR Maker". Wired. 24 March 2003. ↑ "TiVo's Q4 2011 Results". TiVo. 23 February 2012. ↑ "Stat of the Week". Broadcasting & Cable. March 7, 2016. p. 4. ↑ Charny, Ben (February 6, 2004). "TiVo watchers uneasy after post-Super Bowl reports". CNET. Retrieved April 30, 2016. ↑ "Simulmedia to use TiVo data". Direct Marketing News. 18 June 2012. ↑ Terdiman, Daniel (September 14, 2005). "TiVo copy protection bug irks users". CNET. Retrieved April 30, 2016. ↑ Peter Rojas. "TiVo testing banner ads during fast-forwarding?". ↑ "Tivo Testing Popup Banner Ads". FirstAdopter.com. March 28, 2005. Retrieved October 16, 2012. ↑ "TiVo tests pop-up-style ads - CNET News". News.cnet.com. Retrieved October 16, 2012. ↑ "TiVo Fast Forward Popup Ads Return". Betanews.com. January 16, 2007. Retrieved October 16, 2012. ↑ "Business Week: TiVo Wants to Be the Google of Television. How? ".